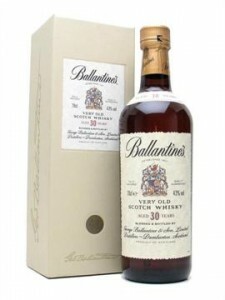 Known to many as truly magnificent whisky Ballantine’s 30 Year Old is currently available at 10% off so if you were scouring the internet for Ballantn’es deals or offers then now might be the time to buy. After all it isn’t the cheapest blended whisky available so the extra money off could come in useful. At the International Spirits Challenge, Ballantine’s 30yrs won a Gold Medal, an ISC Trophy (the second in four years) and was named as Category Champion for Blended Scotch Whisky so suffice to say the 30 Year Old is rather special.